Suicide Squad directed by David Ayer opens in theaters Friday, August 5th. Let's first talk about the talented cast. 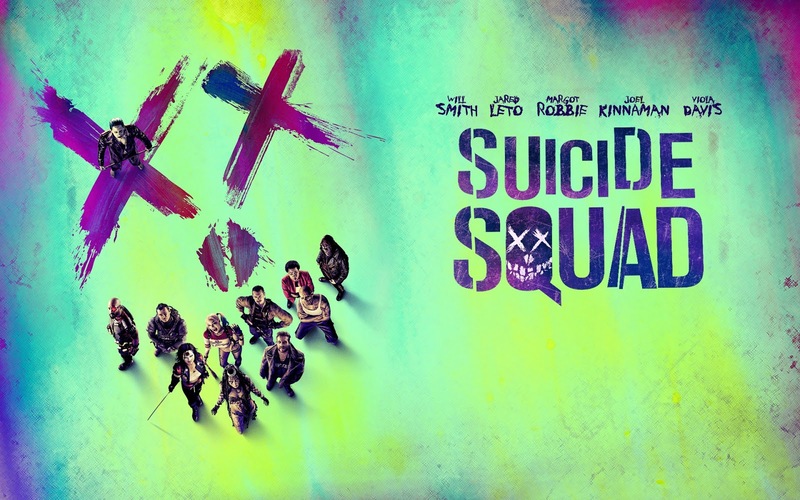 Margot Robbie (Harley Quinn), Jared Leto (Joker) and Viola Davis (Amanda Waller) have each delivered a stellar performance. I wouldn't be surprised if Margot Robbie receives a much deserved Best Supporting Actress Oscar nomination for her role as the beloved complex character, Harley Quinn. Viola Davis commanded the scenes she was in. Her strength and depth of character never wavered. And Oscar winner Jared Leto as the Joker made me want to dive into the character even more. The updated version of the Joker is perceived as more of a demented psychopath. Personally, I thought there could have been more scenes of him and I am hoping this will lead to a new line of DC films featuring Leto and Robbie. The complicated demented relationship between Joker and Harley Quinn could easily stand alone in their own film. Will Smith was solid too and it was a nice role for him as Deadshot. As for the story, that is where I became a bit disappointed. I wasn't too fond of the overall story. We start with Amanda Waller wanting to put together a team of criminals with special abilities to so that the government will have a defense in response to the existence of aliens and superpowered beings like Superman. The criminals have all been blackmailed and threatened to band together. Unfortunately, things go wrong right away when one of the characters, the ancient witch Enchantress (Cara Delevingne) starts to reek havoc. The Enchantress is very powerful and the scenes between the team establishing them as the "Suicide Squad" versus the time in which they encounter her is lackadaisical. The ending was disappointing. But, the music...AMAZING! I am purchasing the soundtrack because the score was on point. It was fun and hip. With the huge success that the Marvel Cinematic Universe has had, DC is trying to create their new world within Warner Bros by putting their own characters interwoven in multiple films. So, I am definitely looking forward to the next film and more from some of these characters. I am excited for you all to see it...lots of us Harley Quinn fans will LOVE what they see. I just know that you will fall in love with her, if you aren't already a fan. You'll leave intrigued and wanting more of Jared Leto as the Joker and excited to see what the future holds for these characters. And lastly, the film will make you ponder...who are really our "bad guys"? Don't we all have a little hero in us? It was a reminder for me that heroes can be silent.